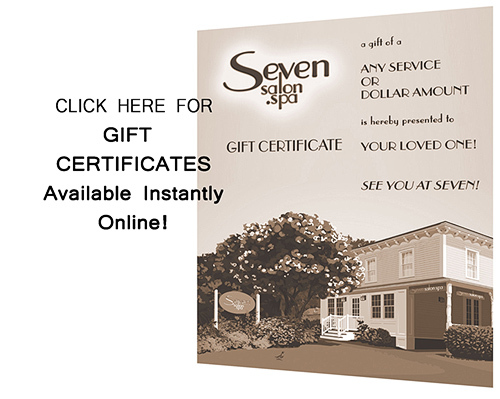 For birthdays, Valentine’s Day or just to say I love you, there’s no better gift than a Seven Salon.spa gift certificate! Click here to buy online for any service or dollar amount instantly! Choose your design to print on paper, or send it to your loved one by email. If you prefer, call us at 413.298.0117 and order your gift certificate by phone. We'll send it via email or US Postal Service for free. Just call us during our business hours or click here to purchase online 24 hrs a day!